This site-specific project takes the exterior details of a building as its starting point. The corners become the focus, accentuated by the light falling away either side into darkness. 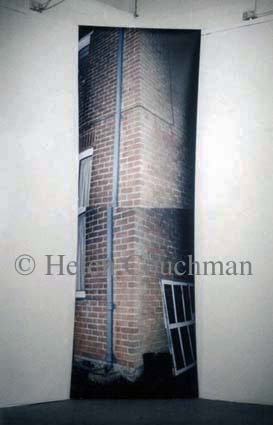 This work is about negotiating buildings at night, attempting to see around corners into the darkness to reveal the form. This piece considers the volume of the building that cannot be seen. 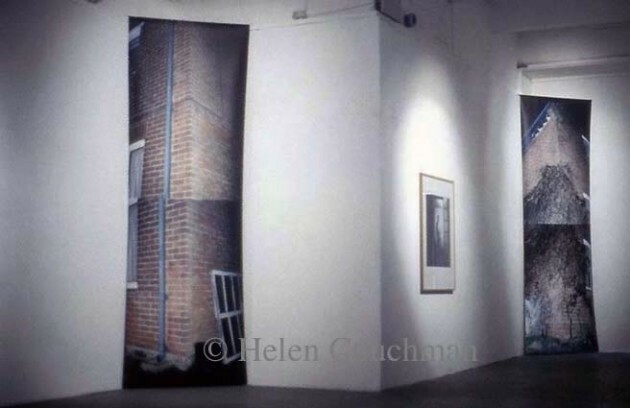 However as the images are brought into the gallery and hung at 45 degrees to two consecutive corners of the room appears partially inverted. 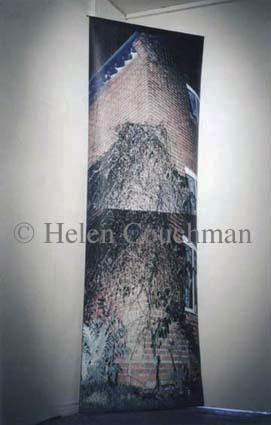 This piece was exhibited in March 2000 in Sodium Blindness, a group exhibition of six artists working with video and photography whose work explored contemporary experiences of the urban space at night. “The show will be looking at the way that the electrification of urban space is key to understanding the development of the city and its myths.” – Gianmarco Del Re, Flash Art, October 1999.